Dr David Sugden, B.Sc. Ph.D. I obtained a B.Sc. in Pharamacology from Leeds University and worked in the pharmaceutical industry for six years while completing a Ph.D. I worked as a post-doctoral researcher at Imperial College London and then headed for the USA where I worked at the National Institutes of Health in Bethesda. I returned to the UK to take up a Royal Society University Research Fellowship at King’s College London and was appointed to a Lectureship in the Physiology Department in 1994, and then promoted to Reader in 2003. I am a physiologist and for more than 15 years have been interested in measuring changes in gene expression. Initially, before qPCR instruments were invented, I did this using a slow but elegant technique called called competitive PCR. Since 2000, when we bought our first qPCR machine, we’ve looked at many genes in a variety of different species and tissues in a wide range of projects. I’ve run a variety of RT-qPCR training workshops over the last decade – initially simply for colleagues and collaborators – which developed into more formal courses in response to continual requests from colleagues and their Ph.D. students. I’ve run over 12 hands-on workshops for The Physiological Society, and each year I provide qPCR training as part of the Graduate School Researcher Development Programme at King’s College London. I’ve also run several 2-day RT-qPCR workshops sponsored by the BBSRC Molecular Training for Industry Programme, which focused on participants from outside the university sector and attracted participants from the pharma, biotech, agriculture and food industries, as well as government-funded research institutes and the Natural History Museum. In all, over 900 scientists – from Ph.D. students to senior researchers – from all over the UK and many European countries have attended these workshops. Feedback has been very positive. Participants enjoy the informal atmosphere and particularly the mix of practical hands-on work and and discussion of the theoretical aspects of qPCR. Dr Patricia de Winter, M.Sc. Ph.D. I have an unusual background in that I originally trained as a nurse and, after a stint in hospital nursing, specialised in urology but decided that I was more interested in research than clinical work. I joined the then Institute of Urology and Nephrology at University College London and managed the Clinical Trials and Research Unit for six years. My interest in physiology led me to undertake a part-time M.Sc. at nearby Birkbeck, University of London, and graduating with a distinction prompted me to continue with postgraduate research and so I did a Ph.D. at the same institution. My first post-doc position was a British Heart Foundation Junior Research Fellowship at King’s College London, where I collaborated with David Sugden on some RT-qPCR research work, and started to teach some of the theory aspects of his RT-qPCR workshops. 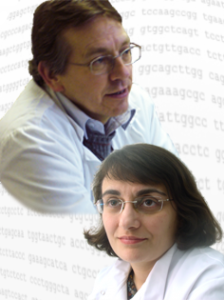 I moved back to University College London in 2007 where I started to work on microRNAs, among other things, but our collaboration continued and in late 2009 we decided to form qStandard. I have taught undergraduates and postgraduates at Birkbeck, University of London,where I have been a part-time (evenings) Sessional Lecturer for several years. I have taught a broad range of topics ranging from physiology to molecular biology. I have a particular interest in data analysis and statistics, and have written several informal articles on the analysis of microarray data for the Techniques section of Physiology News, the official magazine of The Physiological Society.